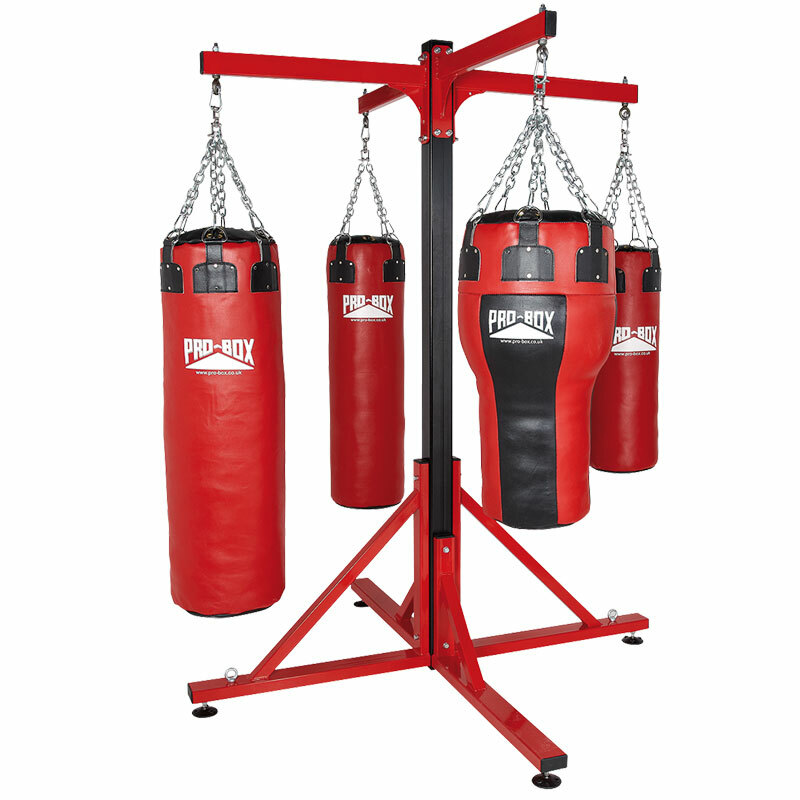 The Pro Box Colossus Four Station Bag Frame is a heavy duty frame with durable powder coated finish. Which can be used by 4 people simultaneously. (Max bag weight 80kg) No floor fixings required.